^ a b c d e f g h i j k l m n o p q r s t Showman, Adam P.; Malhotra, Renu (1999-10-01). “The Galilean Satellites”. Science 286 (5437): 77–84. doi:10.1126/science.286.5437.77. PMID 10506564. http://www.lpl.arizona.edu/~showman/publications/showman-malhotra-1999.pdf. ^ a b Bills, Bruce G. (2005). “Free and forced obliquities of the Galilean satellites of Jupiter”. Icarus 175 (1): 233–247. Bibcode: 2005Icar..175..233B. doi:10.1016/j.icarus.2004.10.028. ^ Orton, G.S. ; Spencer, G.R. et al. (1996). “Galileo Photopolarimeter-radiometer observations of Jupiter and the Galilean Satellites”. Science 274 (5286): 389–391. Bibcode: 1996Sci...274..389O. doi:10.1126/science.274.5286.389. ^ a b Delitsky, Mona L.; Lane, Arthur L. (1998). “Ice chemistry of Galilean satellites”. J. Geophys. Res. 103 (E13): 31,391–31,403. Bibcode: 1998JGR...10331391D. doi:10.1029/1998JE900020. オリジナルの2006-10-03時点によるアーカイブ。. https://web.archive.org/web/20061003013845/http://trs-new.jpl.nasa.gov/dspace/bitstream/2014/20675/1/98-1725.pdf. ^ a b c d e f Hall, D.T. ; Feldman, P.D. et al. (1998). “The Far-Ultraviolet Oxygen Airglow of Europa and Ganymede”. The Astrophysical Journal 499 (1): 475–481. Bibcode: 1998ApJ...499..475H. doi:10.1086/305604. ^ a b c McKinnon, William B. (1997). “Galileo at Jupiter — meetings with remarkable moons”. Nature 390 (6655): 23–26. Bibcode: 1997Natur.390...23M. doi:10.1038/36222. ISSN 0028-0836. ^ a b Zhang, C. Z. (1999). Earth, Moon, and Planets 84 (2): 115–121. doi:10.1023/A:1026731925404. ISSN 01679295. ^ a b Vance, Steve; Bouffard, Mathieu; Choukroun, Mathieu; Sotina, Christophe (2014-04-12). “Ganymede's internal structure including thermodynamics of magnesium sulfate oceans in contact with ice”. Planetary and Space Science 96: 62–70. Bibcode: 2014P&SS...96...62V. doi:10.1016/j.pss.2014.03.011. http://www.sciencedirect.com/science/article/pii/S0032063314000695 2014年5月2日閲覧。. ^ a b c d e f g h i j k l m Kivelson, M.G. ; Khurana, K.K. et al. (2002). “The Permanent and Inductive Magnetic Moments of Ganymede”. Icarus 157 (2): 507–522. Bibcode: 2002Icar..157..507K. doi:10.1006/icar.2002.6834. http://www.igpp.ucla.edu/people/mkivelson/Publications/ICRUS1572507.pdf. ^ a b c d e Eviatar, Aharon; Vasyliunas, Vytenis M. et al. (2001). “The ionosphere of Ganymede” (ps). Planet. Space Sci. 49 (3–4): 327–336. Bibcode: 2001P&SS...49..327E. doi:10.1016/S0032-0633(00)00154-9. http://www.tau.ac.il/~arkee/ganymop.ps. ^ Chamberlain, V. D. (1981). “Astronomical content of American Plains Indian winter counts”. Bulletin of the Astronomical Society 13: 793. Bibcode: 1981BAAS...13..793C. ^ Brecher, K. (1981). “Ancient Astronomy in Modern China”. Bulletin of the Astronomical Society 13: 793. Bibcode: 1981BAAS...13..793B. ^ Yi-Long, Huang (1997). “Gan De”. In Helaine Selin. Encyclopaedia of the history of science, technology, and medicine in non-western cultures. Springer. p. 342. ISBN 978-0-7923-4066-9. https://books.google.com/books?id=GzjpCAAAQBAJ&pg=PA342. ^ Yinke Deng (2011-03-03). Ancient Chinese Inventions. Cambridge University Press. p. 68. ISBN 978-0-521-18692-6. https://books.google.com/books?id=EeVPT6UAk3EC&pg=PA68. ^ Xi, Ze-zong (1981). “The Discovery of Jupiter's Satellite Made by Gan De 2000 Years Before Galileo”. Acta Astrophysica Sinica 1 (2): 87. http://en.cnki.com.cn/Article_en/CJFDTOTAL-TTWL198102000.htm 2017年3月22日閲覧。. ^ a b c d e Miller, Ron; Hartmann, William K. (2005-05). The Grand Tour: A Traveler's Guide to the Solar System (3rd ed.). Thailand: Workman Publishing. pp. 108–114. ISBN 978-0-7611-3547-0. ^ a b c d e f g h Showman, Adam P.; Malhotra, Renu (1997). “Tidal Evolution into the Laplace Resonance and the Resurfacing of Ganymede”. Icarus 127 (1): 93–111. Bibcode: 1997Icar..127...93S. doi:10.1006/icar.1996.5669. http://www.lpl.arizona.edu/~showman/publications/showman-malhotra-1997.pdf. ^ Peale, S.J. ; Lee, Man Hoi (2002). “A Primordial Origin of the Laplace Relation Among the Galilean Satellites”. Science 298 (5593): 593–597. arXiv:astro-ph/0210589. Bibcode: 2002Sci...298..593P. doi:10.1126/science.1076557. PMID 12386333. ^ a b c d e f Kuskov, O.L. ; Kronrod, V.A. (2005). “Internal structure of Europa and Callisto”. Icarus 177 (2): 550–569. Bibcode: 2005Icar..177..550K. doi:10.1016/j.icarus.2005.04.014. ^ Spohn, T.; Schubert, G. (2003). 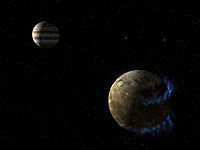 “Oceans in the icy Galilean satellites of Jupiter?”. Icarus 161 (2): 456–467. Bibcode: 2003Icar..161..456S. doi:10.1016/S0019-1035(02)00048-9. オリジナルの2008-02-27時点によるアーカイブ。. https://web.archive.org/web/20080227015925/http://lasp.colorado.edu/icymoons/europaclass/Spohn_Schubert_oceans.pdf. ^ a b c d Calvin, Wendy M.; Clark, Roger N.; Brown, Robert H.; Spencer, John R. (1995). “Spectra of the ice Galilean satellites from 0.2 to 5 µm: A compilation, new observations, and a recent summary”. J. Geophys. Res. 100 (E9): 19,041–19,048. Bibcode: 1995JGR...10019041C. doi:10.1029/94JE03349. ^ a b c McCord, T.B. ; Hansen, G.V. et al. (1998). “Non-water-ice constituents in the surface material of the icy Galilelean satellites from Galileo near-infrared mapping spectrometer investigation”. J. Geophys. Res. 103 (E4): 8,603–8,626. Bibcode: 1998JGR...103.8603M. doi:10.1029/98JE00788. ^ a b McCord, Thomas B.; Hansen, Gary B.; Hibbitts, Charles A. (2001). 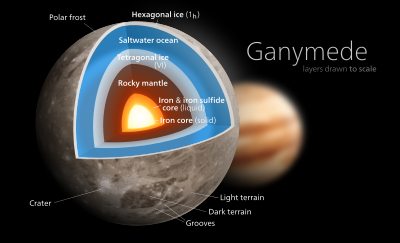 “Hydrated Salt Minerals on Ganymede's Surface: Evidence of an Ocean Below”. Science 292 (5521): 1523–1525. Bibcode: 2001Sci...292.1523M. doi:10.1126/science.1059916. PMID 11375486. ^ Domingue, Deborah; Lane, Arthur; Moth, Pimol (1996). “Evidence from IUE for Spatial and Temporal Variations in the Surface Composition of the Icy Galilean Satellites”. Bulletin of the American Astronomical Society 28: 1070. Bibcode: 1996DPS....28.0404D. ^ Domingue, Deborah L.; Lane, Arthur L.; Beyer, Ross A. (1998). “IEU's detection of tenuous SO2 frost on Ganymede and its rapid time variability”. Geophys. Res. Lett. 25 (16): 3,117–3,120. Bibcode: 1998GeoRL..25.3117D. doi:10.1029/98GL02386. ^ a b Hibbitts, C.A. ; Pappalardo, R.; Hansen, G.V. ; McCord, T.B. (2003). “Carbon dioxide on Ganymede”. J. Geophys. Res. 108 (E5): 5,036. Bibcode: 2003JGRE..108.5036H. doi:10.1029/2002JE001956. ^ Patterson, Wesley; Head, James W. et al. (2007). “A Global Geologic Map of Ganymede”. Lunar and Planetary Science XXXVIII: 1098. http://www.lpi.usra.edu/meetings/lpsc2007/pdf/1098.pdf. ^ a b Pappalardo, R.T.; Khurana, K.K. ; Moore, W.B. (2001). “The Grandeur of Ganymede: Suggested Goals for an Orbiter Mission”. Lunar and Planetary Science XXXII: 4062. Bibcode: 2001iaop.work...62P. http://www.lpi.usra.edu/meetings/outerplanets2001/pdf/4065.pdf. ^ Showman, Adam P.; Stevenson, David J.; Malhotra, Renu (1997). “Coupled Orbital and Thermal Evolution of Ganymede”. Icarus 129 (2): 367–383. Bibcode: 1997Icar..129..367S. doi:10.1006/icar.1997.5778. http://www.lpl.arizona.edu/~showman/publications/showman-etal-1997.pdf. ^ a b Bland; Showman, A.P. ; Tobie, G. (2007-03). “Ganymede's orbital and thermal evolution and its effect on magnetic field generation”. Lunar and Planetary Society Conference 38 (1338): 2020. Bibcode: 2007LPI....38.2020B. http://www.lpi.usra.edu/meetings/lpsc2007/pdf/2020.pdf. ^ Barr, A.C.; Pappalardo, R. T.; Pappalardo, Stevenson (2001). “Rise of Deep Melt into Ganymede's Ocean and Implications for Astrobiology”. Lunar and Planetary Science Conference 32: 1781. Bibcode: 2001LPI....32.1781B. http://www.lpi.usra.edu/meetings/lpsc2001/pdf/1781.pdf. ^ Huffmann, H. et al. (2004). “Internal Structure and Tidal Heating of Ganymede”. Geophysical Research Abstracts 6. http://www.cosis.net/abstracts/EGU04/05114/EGU04-J-05114.pdf. ^ a b Zahnle, K.; Dones, L. (1998). “Cratering Rates on the Galilean Satellites”. Icarus 136 (2): 202–222. Bibcode: 1998Icar..136..202Z. doi:10.1006/icar.1998.6015. PMID 11878353. オリジナルの2008-02-27時点によるアーカイブ。. https://web.archive.org/web/20080227015923/http://lasp.colorado.edu/icymoons/europaclass/Zahnle_etal_1998.pdf. ^ Casacchia, R.; Strom, R.G. (1984). “Geologic evolution of Galileo Regio”. Journal of Geophysical Research 89: B419–B428. Bibcode: 1984LPSC...14..419C. doi:10.1029/JB089iS02p0B419. ^ a b Khurana, Krishan K.; Pappalardo, Robert T.; Murphy, Nate; Denk, Tilmann (2007). “The origin of Ganymede's polar caps”. Icarus 191 (1): 193–202. Bibcode: 2007Icar..191..193K. doi:10.1016/j.icarus.2007.04.022. ^ a b c d e Sohl, F.; Spohn, T; Breuer, D.; Nagel, K. (2002). “Implications from Galileo Observations on the Interior Structure and Chemistry of the Galilean Satellites”. Icarus 157 (1): 104–119. Bibcode: 2002Icar..157..104S. doi:10.1006/icar.2002.6828. ^ a b c d Bhatia, G.K.; Sahijpal, S. (2017). “Thermal evolution of trans-Neptunian objects, icy satellites, and minor icy planets in the early solar system”. Meteoritics & Planetary Science 52 (12): 2470–2490. Bibcode: 2017M&PS...52.2470B. doi:10.1111/maps.12952. ^ a b Kuskov, O.L. ; Kronrod, V.A. ; Zhidikova, A.P. (2005). Internal Structure of Icy Satellites of Jupiter. 7. 01892. Bibcode: 2010aogs...19..365K. doi:10.1142/9789812838162_0028. ISBN 9789812838162. http://www.cosis.net/abstracts/EGU05/01892/EGU05-J-01892.pdf. ^ Anderson, J. D.; Lau, E. L.; Sjogren, W. L.; Schubert, G.; Moore, W. B. (1996). “Gravitational constraints on the internal structure of Ganymede”. Nature 384 (6609): 541–543. Bibcode: 1996Natur.384..541A. doi:10.1038/384541a0. ISSN 0028-0836. ^ a b c Freeman, J. (2006). “Non-Newtonian stagnant lid convection and the thermal evolution of Ganymede and Callisto”. Planetary and Space Science 54 (1): 2–14. Bibcode: 2006P&SS...54....2F. doi:10.1016/j.pss.2005.10.003. オリジナルの2007-08-24時点によるアーカイブ。. https://web.archive.org/web/20070824155106/http://bowfell.geol.ucl.ac.uk/~lidunka/EPSS-papers/pete2.pdf. ^ Saur, Joachim; Duling, Stefan; Roth, Lorenz; Jia, Xianzhe; Strobel, Darrell F.; Feldman, Paul D.; Christensen, Ulrich R.; Retherford, Kurt D. et al. (2015). “The Search for a Subsurface Ocean in Ganymede with Hubble Space Telescope Observations of its Auroral Ovals”. Journal of Geophysical Research: Space Physics 120 (3): 1715–1737. Bibcode: 2015JGRA..120.1715S. doi:10.1002/2014JA020778. ^ a b c d e f g h i Hauck, Steven A.; Aurnou, Jonathan M.; Dombard, Andrew J. (2006). “Sulfur's impact on core evolution and magnetic field generation on Ganymede”. J. Geophys. Res. 111 (E9): E09008. Bibcode: 2006JGRE..111.9008H. doi:10.1029/2005JE002557. オリジナルの2008-02-27時点によるアーカイブ。. https://web.archive.org/web/20080227015923/http://geology.case.edu/~hauck/papers/hauck_jgr_2006.pdf. ^ a b Carlson, R.W. ; Bhattacharyya, J. C. et al. (1973). “Atmosphere of Ganymede from its occultation of SAO 186800 on 7 June 1972”. Science 182 (4107): 53–5. Bibcode: 1973Sci...182...53C. doi:10.1126/science.182.4107.53. PMID 17829812. http://authors.library.caltech.edu/61963/1/1736235.pdf. ^ a b c Broadfoot, A.L. ; Sandel, B.R. et al. (1981). “Overview of the Voyager Ultraviolet Spectrometry Results through Jupiter Encounter”. Journal of Geophysical Research 86 (A10): 8259–8284. Bibcode: 1981JGR....86.8259B. doi:10.1029/JA086iA10p08259. 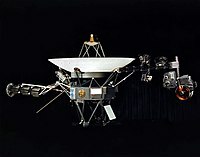 http://www-personal.umich.edu/~atreya/Articles/1981_Overview_Voyager.pdf. ^ a b Feldman, Paul D.; McGrath, Melissa A. et al. (2000). “HST/STIS Ultraviolet Imaging of Polar Aurora on Ganymede”. The Astrophysical Journal 535 (2): 1085–1090. arXiv:astro-ph/0003486. Bibcode: 2000ApJ...535.1085F. doi:10.1086/308889. ^ Johnson, R.E. (1997). “Polar "Caps" on Ganymede and Io Revisited”. Icarus 128 (2): 469–471. Bibcode: 1997Icar..128..469J. doi:10.1006/icar.1997.5746. ^ Noll, Keith S.; Johnson, Robert E. et al. (1996-07). “Detection of Ozone on Ganymede”. Science 273 (5273): 341–343. Bibcode: 1996Sci...273..341N. doi:10.1126/science.273.5273.341. PMID 8662517. http://www.sciencemag.org/cgi/content/abstract/273/5273/341 2008年1月13日閲覧。. ^ Calvin, Wendy M.; Spencer, John R. (1997-12). “Latitudinal Distribution of O2 on Ganymede: Observations with the Hubble Space Telescope”. Icarus 130 (2): 505–516. Bibcode: 1997Icar..130..505C. doi:10.1006/icar.1997.5842. ^ Vidal, R. A. et al. (1997). “Oxygen on Ganymede: Laboratory Studies”. Science 276 (5320): 1839–1842. Bibcode: 1997Sci...276.1839V. doi:10.1126/science.276.5320.1839. PMID 9188525. ^ Brown, Michael E. (1997). “A Search for a Sodium Atmosphere around Ganymede”. Icarus 126 (1): 236–238. Bibcode: 1997Icar..126..236B. doi:10.1006/icar.1996.5675. ^ Barth, C.A. ; Hord, C.W. et al. (1997). “Galileo ultraviolet spectrometer observations of atomic hydrogen in the atmosphere of Ganymede”. Geophys. Res. Lett. 24 (17): 2147–2150. Bibcode: 1997GeoRL..24.2147B. doi:10.1029/97GL01927. ^ a b c d Kivelson, M.G. ; Khurana, K.K. et al. (1997). “The magnetic field and magnetosphere of Ganymede”. Geophys. Res. Lett. 24 (17): 2155–2158. Bibcode: 1997GeoRL..24.2155K. doi:10.1029/97GL02201. http://www.igpp.ucla.edu/people/mkivelson/Publications/97GL02201.pdf. ^ a b c d Kivelson, M.G. ; Warnecke, J. et al. (1998). 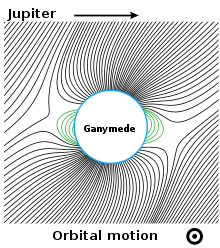 “Ganymede's magnetosphere: magnetometer overview”. J. Geophys. Res. 103 (E9): 19,963–19,972. Bibcode: 1998JGR...10319963K. doi:10.1029/98JE00227. http://www.igpp.ucla.edu/people/mkivelson/Publications/98JE00227.pdf. ^ a b Paranicas, C.; Paterson, W. R. et al. (1999). “Energetic particles observations near Ganymede”. J. Geophys. Res. 104 (A8): 17,459–17,469. Bibcode: 1999JGR...10417459P. doi:10.1029/1999JA900199. ^ a b Volwerk, M.; Kivelson, M.G. ; Khurana, K.K. ; McPherron, R.L. (1999). “Probing Ganymede's magnetosphere with field line resonances”. J. Geophys. Res. 104 (A7): 14,729–14,738. Bibcode: 1999JGR...10414729V. doi:10.1029/1999JA900161. http://www.igpp.ucla.edu/people/mkivelson/Publications/1999JA900161.pdf. ^ Hauck, Steven A.; Dombard, A. J.; Solomon, S. C.; Aurnou, J. M. (2002). “Internal structure and mechanism of core convection on Ganymede”. Lunar and Planetary Science XXXIII: 1380. Bibcode: 2002LPI....33.1380H. http://www.lpi.usra.edu/meetings/lpsc2002/pdf/1380.pdf. ^ a b Canup, Robin M.; Ward, William R. (2002). “Formation of the Galilean Satellites: Conditions of Accretion”. The Astronomical Journal 124 (6): 3404–3423. Bibcode: 2002AJ....124.3404C. doi:10.1086/344684. http://www.boulder.swri.edu/~robin/cw02final.pdf. ^ Mosqueira, Ignacio; Estrada, Paul R (2003). “Formation of the regular satellites of giant planets in an extended gaseous nebula I: subnebula model and accretion of satellites”. 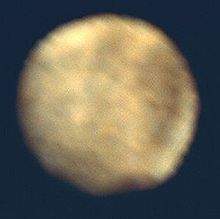 Icarus 163 (1): 198–231. Bibcode: 2003Icar..163..198M. doi:10.1016/S0019-1035(03)00076-9. ^ Showman, A. P.; Malhotra, R. (1997-03). “Tidal evolution into the Laplace resonance and the resurfacing of Ganymede”. Icarus 127 (1): 93–111. Bibcode: 1997Icar..127...93S. doi:10.1006/icar.1996.5669. ^ a b Barr, A. C.; Canup, R. M. (2010-01-24). 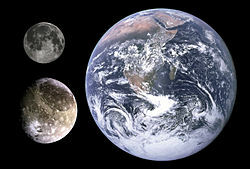 “Origin of the Ganymede–Callisto dichotomy by impacts during the late heavy bombardment”. Nature Geoscience 3 (March 2010): 164–167. Bibcode: 2010NatGe...3..164B. doi:10.1038/NGEO746. http://www.nature.com/ngeo/journal/v3/n3/abs/ngeo746.html 2010年3月1日閲覧。. ^ a b Nagel, K.A; Breuer, D.; Spohn, T. (2004). “A model for the interior structure, evolution, and differentiation of Callisto”. Icarus 169 (2): 402–412. Bibcode: 2004Icar..169..402N. doi:10.1016/j.icarus.2003.12.019. ^ Grundy, W.M. ; Buratti, B.J. et al. (2007). “New Horizons Mapping of Europa and Ganymede”. Science 318 (5848): 234–237. Bibcode: 2007Sci...318..234G. doi:10.1126/science.1147623. PMID 17932288. ^ Peplow, M. (2005-02-08). “NASA budget kills Hubble telescope”. Nature. doi:10.1038/news050207-4. http://www.nature.com/news/2005/050208/full/news050207-4.html 2011年12月24日閲覧。.